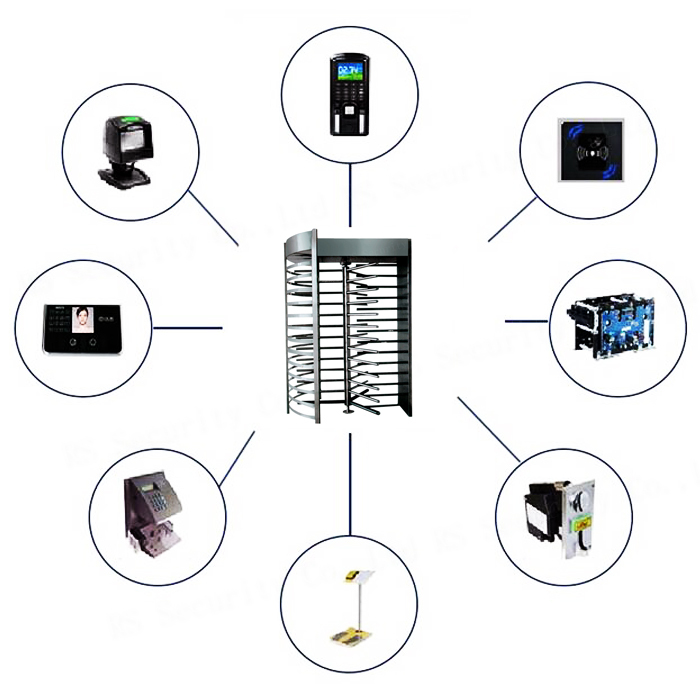 Full Height Turnstile developed by RS Security Co.,Ltd is available for any area which needs a high level of security without persons to monitor. The machine is well designed to be rustproof, durable and able to resist external destroy. Full Height Turnstile is normally designed to be Semi-Automatic Type, but we can also provide Full Automatic Type and Manual Type for customization. Full Height Turnstile with 3-arm obstacle: The center rotor rotates 120 degrees per time, and it offers a comfortable space for users. Full Height Turnstile with 4-arm obstacle: The center rotor rotates 90 degrees per time, and it offers a higher level of security but less space for users. This series has 4-arm obstacle. Looking for ideal Security Office Turnstiles Manufacturer & supplier ? We have a wide selection at great prices to help you get creative. All the Security Office Turnstile are quality guaranteed. We are China Origin Factory of Full Height Turnstyle. If you have any question, please feel free to contact us.